Fish farming, which is more commonly known as aquaculture, is a common practice all over the world and makes up a very large portion of the food industry. 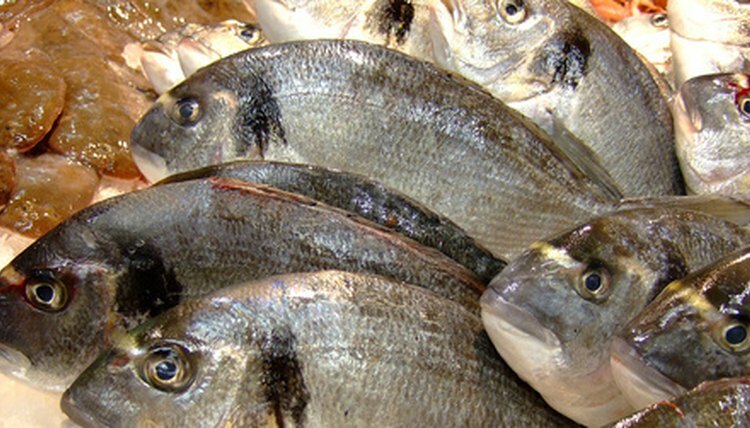 In fact, it's estimated that one of every four fish consumed was bred on a fish farm. Aquaculture is necessary for keeping up with the demand of a seafood-loving world and comes with an assortment of advantages and disadvantages. Fish farming allows us to replenish the food fish supply at a faster rate than the oceans can produce it, allowing suppliers to keep up with demand. The aquaculture industry has created numerous jobs for people who reside in impoverished areas where unemployment is rampant. It's highly prevalent in Asia, where it provides thousands of jobs. Seafood is typically loaded with protein, omega-3 fish oils and other nutrients that are highly beneficial to impoverished areas. Fish farming can increase the supply of fish available for these regions, fighting malnutrition. Fish farms consists of large amounts of fish condensed into a single area. When these fish excrete waste or die, they're released into local water sources, polluting and contaminating them. Fish raised on farms need feed, with much of their feed consisting of fish meal. This fish meal consists of ground-up smaller fish usually caught in the open ocean. Unfortunately, the resources required to feed the fish typically outweigh what is produced. For example, according to the San Francisco Chronicle, it takes about 26 pounds of fish meal to create one pound of bluefin tuna, making many farms extremely inefficient. Because of the large numbers of fish contained in fish farms, they can be breeding grounds for bacteria, sea lice and various diseases. If fish escape into the wild ecosystem, which is inevitable with such large numbers, these diseases may rapidly spread.